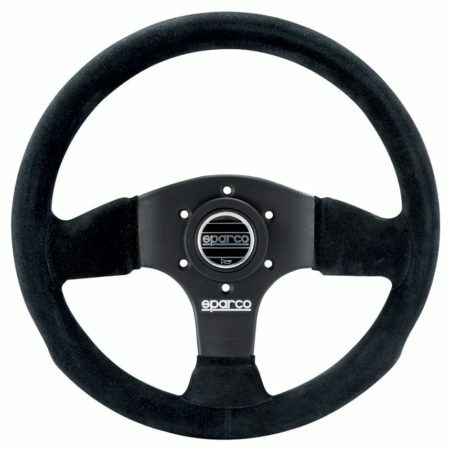 Sparco’s 300 steering wheel is a 300mm diameter, 3 spoke flat steering wheel trimmed in black suede with a Sparco logo. 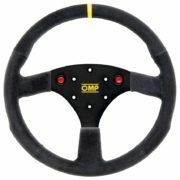 It’s a Motorsport specific competition steering wheel intended for use in saloon car racing or rallying. Supplied with horn push. 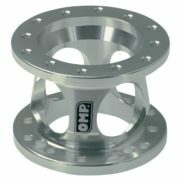 This unit will fit every standard Momo, OMP, and Sparco type boss kit. Please see “Steering Wheel Bosses” in the Steering category on Driver61.com.